Last week the new help system – online and offline – received enhancements to add multimedia and other resources for a richer user experience of LibreOffice Help. The new help can now access external videos stored in You Tube or similar services and also to open or download OpenDocument files to support the textual explanations of LibreOffice features in the help pages. The current textual contents of the help pages is an important legacy information because LibreOffice does not have a development method that requires “a priori” documentation of the new feature specifications. 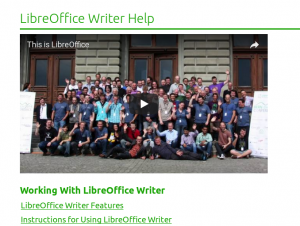 LibreOffice Help pages will continue to have text contents and external videos shall be used to support this contents and will not replace it. Imagine the situation where a user need help on Calc pivot tables. Besides the existing help pages on the subject, a companion tutorial video can be linked in the page to further explain pivot tables with examples and different wording. If well produced, the external video stored in a video service server can even display captions in the user language, although it depends on the browser language settings, the video file service host and the video production. Actually, production of good multimedia contents in general is not a light task. A good video tutorial requires advanced (often professional) techniques and skills, and our users will appreciate quality and effectiveness of the videos. Normally good videos are short – less than 2 minutes – have a direct communication with the user and must be rendered in low resolutions monitors. The new help also has OpenDocument files available for download in the help pages. 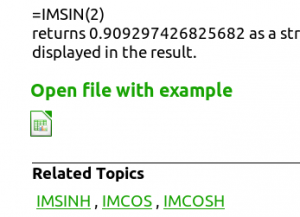 For the moment only ODF files allowed are of MIME type application/vnd.oasis.opendocument. prefix and “text”, “spreadsheet”, “drawing”, “presentation”, “formula” or “database” as suffix. It can be extended for other cases such as CSV, TXT or HTML if necessary. The purpose of the companion files is to offer to the Help user a working case of the feature or a starting point for a bigger work around the feature. Adding Help contents for LibreOffice is not an easy task. Besides knowledge of Extensive Markup Language (XML) and some developments skills for patch submission, the Help contents, unlike a book or a guide, must be factual and as much accurate as possible. Poor multimedia or companion files can turn into counterproductive resources. Are you interested in helping us to make our Help a rich experience? Do you want to improve our help contents? Join the Documentation Team! Due to this changes must be introduced into the localization of help regarding the help development process. First, external videos/documents must be available to localizers, and when the amount of localization reaches 20-30 languages, it can be introduced into master (s0 help writers are motivated to motivate localizers who in response read and localize and find errors in these documents/videos). Otherwise the l10n teams will lose motivation to localize help.